For musicians, songwriters, and music lovers, it may feel like your passion is only a hobby. Having a career in music may seem far off and implausible. After all, the music industry is tough to break into and is often unpredictable. Traveling back and forth to gigs, sleeping on sofas, and playing in bars — is alright when you're single with no kids, but for many music-loving adults, it might seem like your music career ship has sailed. 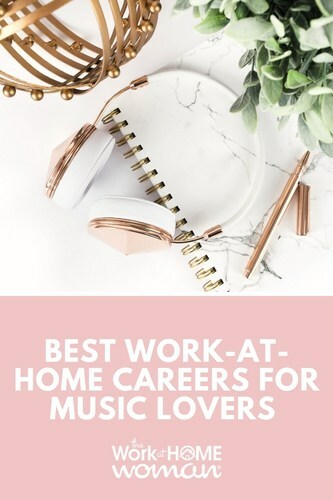 There are plenty of work-at-home careers for music lovers available. If you’ve got a song in your heart or an ear for talent, check out these great work from home opportunities! There are many teaching opportunities online — from crafts, photography, language, and yes, even music! Becoming an online music teacher isn’t difficult, especially using a site like Skillshare. You’ll create your first class at home and publish using their upload tool. From there, build your platform and audience to begin earning revenue. You make money from royalties from each class. Earnings vary by class length, type, and the number of classes you create. Teaching online really opens up your availability to students around the globe — you aren’t limited to teaching music locally. If you’re considering careers for music lovers, teaching music online is a great option. If you enjoy music and working with children, becoming a Christian music instructor is a wonderful way to celebrate your talents and faith. Sing n’ Sprout provides music and movement programs for young kids who may otherwise miss out on this great learning opportunity. Instructors are trained to teach these programs through their church, encouraging weekly class attendance for families. The curriculum is $140 per lesson (there are seven lessons), and membership is $5.95 per month. You’ll get a downloadable curriculum, training videos, access to the Sing n’ Sprout store and Facebook Page, as well as seasonal ideas, resources, and graphics. Instruments are available for purchase to enhance each lesson. If this sounds appealing, discuss a partnership with your church. Did you know many famous singers don’t write their own lyrics or music? Read the linear notes from Pink, Katy Perry, and other rock stars, and you’ll discover there is a whole team behind each hit. It takes a village—and you can become part of the team if you’ve got talent writing lyrics, mixing music, composing tunes, directing music videos, or even assisting with graphic design for album covers. Check out these great freelance opportunities for songwriters and musicians! At PeoplePerHour, they’ve connected over a million jobs with freelance talent in the music industry. Earnings vary by role and skillset required. Upwork is another excellent resource for finding freelance opportunities in songwriting and production. And talented lyricists may want to check out Careerlancer, where you earn $5-$35 per hour or bid on a fixed price project ranging from $20-$200+. Music fanatics can get paid to listen to music! Sounds too good to be true, right? Sites like Music Xray’s Fan Match and Slicethepie pay listeners to check out and review new music. Now, you won’t get rich off these sites (pay per song is usually a few cents), but if you love learning about new artists and supporting different music, it’s a fun way to get in on the ground floor. Budding artists put their music on the site, listeners review and rate their songs, musicians receive feedback and build their fanbase. As a fan or “Scout” (as Slicethepie calls listeners), you get a chance to access free tracks, merchandise, and tickets to shows. Some people are born with a natural talent, while others must work for it. And that's where vocal coaches come in, teaching projection, breathing techniques, vibrato, and pitch. If you’ve got skills, share them by tutoring online. To work with aspiring singers, check out Chegg, where tutors sign up to work with students daily or occasionally. You select your topics and subjects, and you’re paired with eager learners. You’ll earn bonuses for teaching in-demand topics—and as you build your reputation, more opportunities will come your way! Music streaming websites, radio stations, music performance venues, and even festivals use music curators to help them find and plan musical lineups. Imagine selecting talent and creating playlists of your favorite artists to draw in listeners. Even better—this is often a job that’s possible right from home! FlexJobs occasionally lists music curator positions for the right candidate. Pay and scope vary by the position and role, but it’s definitely a career worth watching. If you’ve got a good ear for music and love curating the perfect playlist, this could be a fun opportunity. Music is powerful and has the ability to shape our emotions, as well as our mental and even physical health. Music therapists tap into our audial response to use music interventions in a therapeutic setting. This may mean encouraging clients to share their feelings through songwriting, using music to evoke relaxation or cope with trauma, or examining lyrics as a platform for discussion. Music therapists are often trained and licensed. Salaries range from $20,000 to over six figures, depending on education and experience. Some music therapists work from home, and FlexJobs occasionally lists opportunities for qualified candidates. Transcription is a job where spoken words and sound are transferred into written form. Transcriptionists often work in the medical and legal industries, but they can also work in captioning and yes, music. Bilingual transcriptionists are often responsible for translating song lyrics from their native language so that others can appreciate the lyrics and meaning. Music videos may require captioning for the hearing impaired. Other transcribers may work to transfer a piece of piano music, so it’s playable on another instrument, such as a guitar. Music transcribers need a strong knowledge of music theory and an excellent ear. Watch for work from home transcriber jobs on FlexJobs. Are you interested in becoming a music publisher? Check out David Andrew Wiebe, Founder of The Music Entrepreneur HQ. David worked as a freelancer until he founded his music entrepreneurship business, featuring a podcast, books, and training coaches for musicians, creatives, and music business owners. David uses his knowledge of the music industry to help musicians market and sell their music, earn more money, and discover broader opportunities. He applies many of the lessons he gathered through his business experience to the music industry, so musicians become better business people. If you’re interested in creating your own music blog, check out our simple guide to getting started. If you’ve got talent but you aren’t sure how to get your music “out there,” consider sharing it on YouTube. A surprising number of artists got started on the ‘Tube, from Carly Rae Jepsen to Shawn Mendes. Even Justin Bieber shared his talents on YouTube in his early days as did Pentatonix and Ed Sheeran. Making it big on YouTube is tough, but as these stars show, it’s possible! The video format helps you relate to fans by putting a face with your sound. Best of all, YouTube is free, and if your channel becomes popular, you may even earn money from your videos. 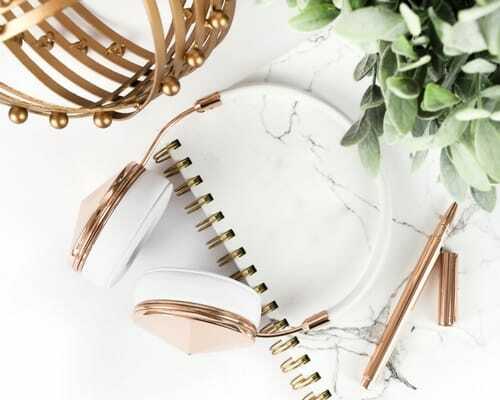 If you’re looking for a work-at-home music job, but none of these seem to fit the bill, check out Music Business Worldwide. This London-based company is the go-to source for music industry news, jobs, and analysis. Learn about the many jobs available from DJ gigs to music publicists to product management. The job listings come from great companies including Spotify, Facebook, and Capitol Music Group! Glad you enjoyed the ideas, Elyse!